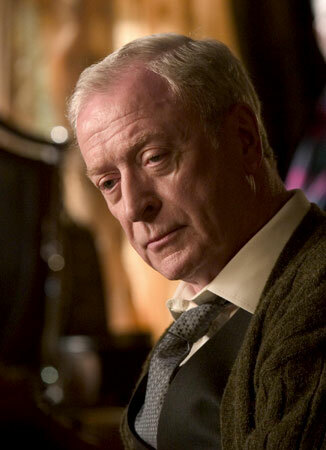 It’s no mystery why we love Alfred so much. Whether or not we’d like to believe it, slavery is an acceptable, common practice in the Bible. Paul even has instruction on it in the New Testament, so it’s hard to ignore if you decide to conveniently omit the Old Testament from your reading. The reason why slavery was abolished in the U.S. had more to do with human rights than ownership. We’re big on liberty and freedom here, so the extent of ownership is now limited to employment (although some jobs still seem like forced servitude nonetheless). If you read the verses closely, you’ll also notice that the Americans were doing it wrong anyway, so that might explain a lot. It seems like a lot of “Christian” slave owners back in the day were skipping the Old Testament as well. To even consider slavery in this country is unjust, taboo, and illegal. To voluntarily accept a role of slavery, even with the opportunity of freedom, seems even more ridiculous. In the time of Moses, several laws (beyond simply the Ten Commandments) are established, and I thought it was interesting that the second section of laws, if you are bold enough to categorize them, has to do with how to handle slaves. Generally, after six years, the slave is allowed to go free, along with his wife and kids. But after this, it gets interesting. If a man serves his six years, but discovers he loves his master, he has the option to stay. The master has to clear it with the local authorities, then bring the slave back home and pierce his ear as a symbol of total ownership. The slave is no longer be allowed to leave — he is required to serve his master forever. This ultimate act of love is almost unheard of today. We love ourselves, a lot. We’ll submit to our own desires all day long, but it’s hard to relent and serve someone else. And that’s the point. If you want to show love, position yourself as a servant. 1) Serve your friends. (John 15:13) There is no better demonstration of love than to consider your life as inferior to others. Just the attitude alone will improve every single relationship you have. 2) Serve your spouse. (Ephesians 5:22-25) Love goes both ways. You want your spouse (or even potential spouse) to know you love them? Make them more important than yourself. The results are surprising. 3) Serve your God. (Romans 12:1) A living sacrifice is what God wants — not just good behavior or church attendance. Please be obedient to God, and please go to church (yeah, quit sleeping in on Sundays), but above all else, live in submission to God. To be the master and commander of your own will isn’t just disrespectful. It shows a lack of love. 4) Service is the mission. (Acts 20:24) I’m not convinced that Christians are bent on proclaiming the great love and grace of Jesus. I’m not talking about being dogmatic or even preaching — but at least living like we have something everyone else wants. The perfect state of love is complete submission. May we embody this characteristic today. I stumbled on to your website while looking for the bible word for hangover. I read a bunch of your posts, and appreciate your candid approach to the word. Thank you! Awesome, thank you for checking it out! I would just hope more people would approach the Word that way — not in an irreverent fashion, but with a sense of applicability, as if there’s something personal about the thing.